Apple has updated iOS 8 to deliver a number of new features, enhancements and bugs fixes to iOS users. iOS 8.1.2 updated to fix issue which affected iOS users who purchased ringtones from iTunes but disappear from ringtone lists. With iOS 8.1.2 update, iOS users can restore those ringtones back to their device. However, if you own an iPhone 5, you might need to hold off on iOS 8.1.2 right now, especially if you’re getting extremely well speed features on iOS 7.1.2. Currently, the iOS 8.1.2 update may kill the iPhone 5 speed. Hence, if you’re having problems with the new update, here’s an easy hack to downgrade back to iOS 8.1.1 for a limited time. 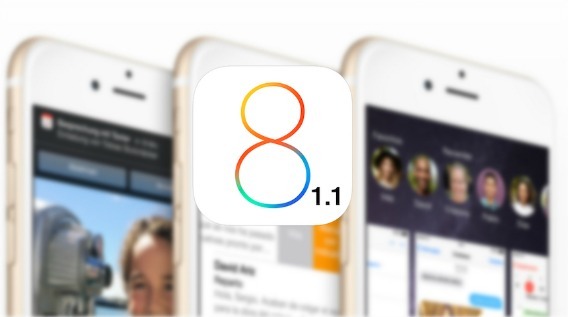 Download the iOS 8.1.1 IPSW from here for iPhone, iPad or iPod touch. The files range between 1.5 GB and 2GB for iPhones and iPads. Note: Make sure download the correct firmware file. Backup iOS device using iCloud or iTunes. Once downloaded the file, plug iOS device into PC or Mac, and then launch iTunes. Hold down the left SHIFT key on PC (or the OPTION key on Mac) and click on Restore in iTunes. Next, browse and select the IPSW file that downloaded and click it. iTunes will begin restore iOS device and install iOS 8.1.1 to iOS device. Now, the iOS device should running iOS 8.1.1 firmware. Restore all the apps and settings from iCloud or iTunes which you backup.